It was by accident that Armon Sharei first discovered the technology that his startup, SQZ Biotech, is now using to develop cell therapies for cancer. As a grad student at MIT, he and his collaborators developed a relatively quick and simple way to deliver large molecules such as proteins into cells—by squeezing those cells enough to disrupt their membranes. Along with MIT’s Bob Langer and Klavs Jensen, Sharei co-founded SQZ in 2013, at around the time he was finishing up his PhD. He joined the company as CEO in early 2015 when he was still in his 20s. SQZ now has a collaboration with Roche and is moving cancer immunotherapies into clinical trials. 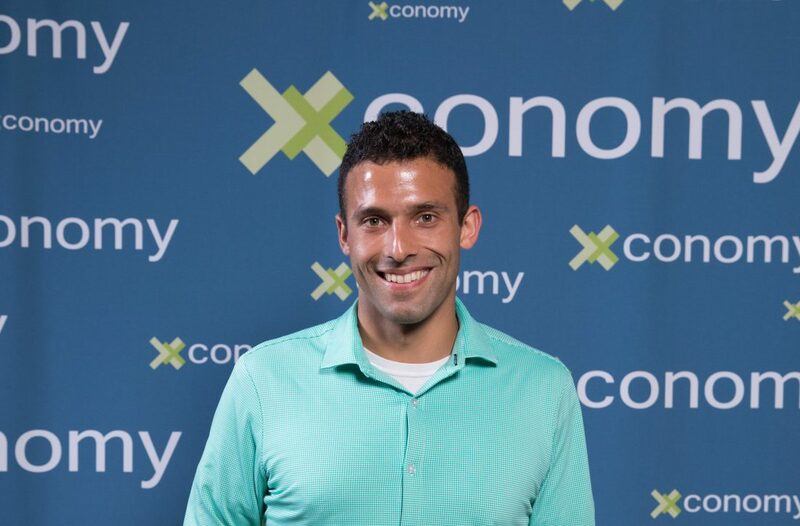 For this work, Sharei, now 30, received Xconomy’s 2017 Young Innovator Award. Sharei grew up wanting to make a difference. He was born in the U.S., but was raised in Iran where his parents were born, and also spent a few years in Dubai. He saw first-hand the contrast between the developed and developing worlds, and how much people can benefit just from the situation they’re born into. “I always thought, if I was on the luckier side of things, I should try to make things better for the rest,” says Sharei. To start on that path, Sharei thought graduate school would be good training. At MIT, he was focused on finding a better way of getting molecules such as proteins and DNA into cells—a key step for engineering cells with new functions. Sharei tried using what was basically a high-powered mini squirt gun to shoot molecules into cells. It seemed to be working, but something wasn’t adding up. When he took a closer look, he found that the method still worked even when the gun was turned off. He figured out that the cells were getting squished, and it was this high-speed squeezing that was allowing the molecules to enter the cells. And luckily for Sharei, it turned out that, from an engineering perspective, squeezing cells is a simpler process than shooting molecules into them. This freed up Sharei and his colleagues to think more broadly about biological applications, such as therapeutics. SQZ was created initially to sell the cell-squeezing tool to academic researchers. After finishing his PhD, Sharei, a chemical engineer by training, decided to stay in the lab to further explore therapeutic applications. He did a postdoc in an immunology lab at Harvard Medical School, where he developed the idea that if his technology could be used to engineer immune cells, those cells could be designed to launch attacks against tumors or pathogens. By 2015, SQZ switched its focus to therapeutics and got out of the tool-sales business. That’s when Sharei joined the company full-time as CEO. Despite having no real previous experience in industry or startups, Sharei decided to take the plunge as the leader of the company. “What made me go with CEO was, I thought: no one would care as much as I do about making this work,” says Sharei. He says he was already showing his leadership skills in grad school. While MIT grad students typically hire and supervise two or three undergrads to help with research, Sharei found himself taking on 15 in total, managing up to eight at any given time. “I really liked hiring undergrads to help with the work,” he says, adding that he got satisfaction from seeing his students learn and grow more productive. SQZ recently hired a chief medical officer, and is working on its clinical trial plan. The company is focused on cancer for its first program, but also wants to pursue cell therapies for infectious and autoimmune diseases. For cancer, SQZ’s approach is to engineer immune cells called antigen-presenting cells (APCs). APCs normally activate T cells to go after target cells that have specific proteins called antigens on their surface. SQZ is engineering APCs to stimulate T-cell attacks against cancer by putting key tumor antigens into those cells. Sharei says doing this takes advantage of the natural machinery that T cells use to find and destroy target cells. This approach, he adds, should lead to more specific and effective targeting of tumors compared to CAR-T methods, which engineer T cells rather than APCs and trigger a different kind of cell-targeting. The Roche partnership is focused on engineering one type of APC, B cells, and SQZ’s internal program is working on a different type. CAR-T therapies (two have now been FDA-approved, one for a type of leukemia and the other for non-Hodgkin lymphoma) are known for their complex manufacturing process, and Sharei’s hope is that SQZ’s technology—which the company says can engineer millions of cells per second—will simplify parts of this process, making it “more practical and scalable,” he says. This is the fourth in a series of articles profiling the 2017 Xconomy Award winners. You can read about Lita Nelsen (Lifetime Achievement), Rob Perez (Community Contribution of the Year), and the Bridge Project (Big Idea).